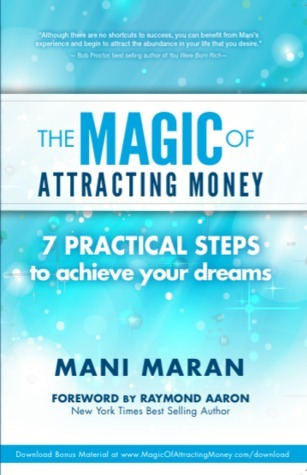 I figured reading The Magic of Attracting Money by Mani Maran would help a sistah out and bring me lots of moolah! I mean, who doesn’t want lots of money? I don’t know about y’all, but I am all about reading and studying the law of attraction. Attracting more money, money that is mine by divine right, is what I focus on a lot. I saw this book and decided to read and review it and see if it would fix my life. This book claimed it will unlock the door to riches, help me become better by bringing in more money and having a better attitude, and all that other good stuff. Since I obviously need some help, I needed this book in my life. The quick rundown: If you follow the teachings of law of attraction, then nothing in this book will be a new concept. What is new is the way the author communicates the teachings and lessons to the reader. This book will make you take a real good look at yourself and want to change for the better. I can’t say that will bring more money into your life, though. Although the concepts in this book aren’t new to me, it gave me a reminder of what I need to be doing in my life. For instance, I like food. A lot. And I often lack…ok, let me be real, I always lack discipline when it comes to eating right and getting my tail up and exercising. The section about discipline made me get all up in my feelings because having a lack of self-discipline is true for me. Because I need to make better choices to have a better life, I am now making conscious efforts to eat better and exercise a bit. Another section I liked discussed our environment and the people we call our friends. Seriously, this one made me reallllyyy think about the people I’m around. I’m a Pisces and I can take on other people’s mess. I now choose to be mindful of my environments, even at work, because trust me, misery loves company. I don’t need any folks around trying to mess up my good mojo! We are the average of friends, so choose wisely! As they saying goes, birds of feather…. In short, readers already up on the law of attraction probably won’t find anything new here. What you will get is some motivation to fix yo’ life beloveds! If it actually brings more money as the title says, I’m not sure yet, as I’m still working on it. So, it’s worth checking out if you need some help in changing your attitude and life.